Luke graduated from the University of Nottingham in 2009, having read Law, and went on to obtain a Masters from the University of Manchester. He was called to the Bar in 2011 by Inner Temple. Luke has experience in all areas of personal injury, including clinical negligence and industrial disease, representing Claimants and Defendants in Court daily at Fast Track and Multi Track level. 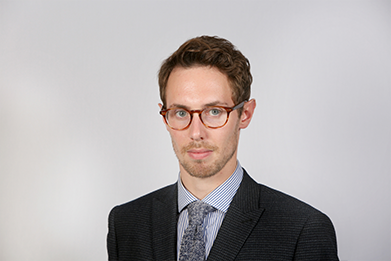 Luke also has a deep practical knowledge of limitation issues, especially in industrial disease and construction matters. When not in court, Luke has a busy paperwork practice, to which he brings immaculate preparation and attention to detail, following the belief that success comes to those who are best prepared. He has extensive experience of drafting statements of case and advising on liability, quantum and procedural matters for both Claimants and Defendants. He is more than happy to accept instructions on a CFA basis. Prior to joining chambers, Luke was an advocate and paralegal at a large regional firm of solicitors, regularly attending court on behalf of clients. Outside of chambers, Luke is a keen golfer and squash player, and enjoys wowing crowds playing flugelhorn in a brass band.